Bailee Madison looked totally adorable while attending the 2013 Young Hollywood Awards held at The Broad Stage in Santa Monica, California yesterday evening. 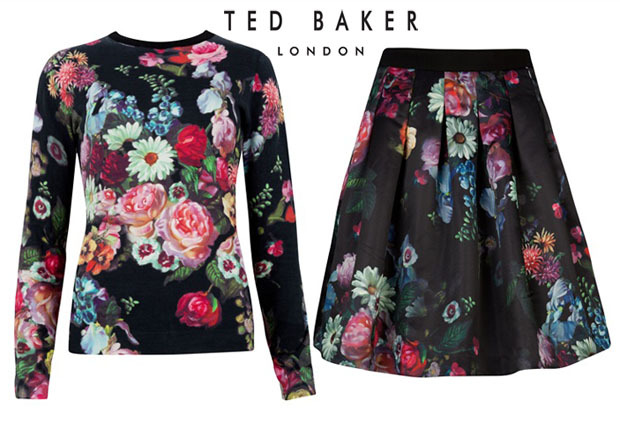 The ‘Once Upon A Time’ actress wore a bright botanical-print long-sleeved top paired with a matching flared skirt by British retailer Ted Baker. Her styling is age appropriate, with simple black patent-leather flats and cute curled locks. While this is a Fall look, the effervescent print keeps this look fresh and youthful.